For a lot of people, one of the most attractive features of the eyes is the size. 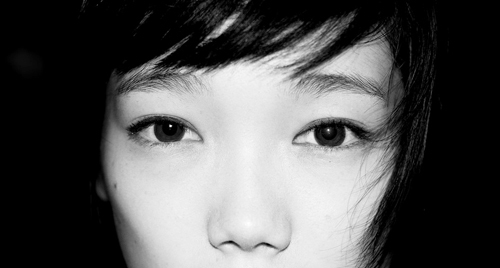 Shape is also important, but women and girls long for bigger eyes, especially Asians. For most, the bigger the eyes are the better. You may have noticed how cartoonists exaggerate the size of the eyes in their characters. They do this because it makes them more attractive, cuter looking, and certainly alluring. Anyone who has small eyes and wants to increase their size now has the option. This is all thanks to a surgical procedure called a medial epicanthoplasty. Singapore and Korea are two countries in Asia that specialize in this kind of surgery. There is certainly a lot of demand from the smaller-eyed young women of South East and East Asia. Obviously no surgeon can actually physically increase the size of the eye balls; that would be wishful thinking. But what they can do is create an appearance that makes the eyes look much larger. Externally, the eyes are bigger as you will see shortly. A lot of Asians have what we call a Mongolian fold (also an epicanthic fold). This “fold” is that tiny bit of skin on your upper eyelids. It’s the part that ‘folds down’ over the inner corners of your eyes. You might have noticed how this is a common feature in people with the congenital disorder, Down’s syndrome. In Asians, there’s also the absence of the eyelid crease; something that bothers a lot of women. What this surgery does is eliminate that triangular-shaped Mongolian fold. Medial epicanthoplasty will result in larger and noticeably more vivid looking eyes. Asian women tend to get a lot of criticism by those who think they try to look less Asian and more Caucasian. This is not the case at all. No Asian woman looks any less oriental after this surgery. They have simply opened and amplified the beauty of their eyes. They haven’t taken anything away; they’ve just improved on what was already there, albeit latent. There is also research to suggest that Asians who get their eyelids cut have more potential to get ahead in life. At least this is so in some parts of the world. A case in point made the news in a CNN report on a 12 year old girl called Lee Min kyong. It might sound superficial that more attractive people get easier breaks in life, absurd even. But if it happens anyway, then it’s easy to understand why some women want plastic surgery. They do it to help them get ahead in their own lives. So in this case, they not only get to enhance their beauty, but also improve their chances in the world. Who Qualifies for this Surgery? The end result is natural-looking, bigger, wider eyes. Best of all is the time epicanthoplasty takes. In many cases the surgery is over with in around 30 minutes. This really is a ground breaking surgical procedure. It greatly improves the unwanted inclination angle in the inner-corners of your eyes in a quick, simple and minimally-intrusive way. 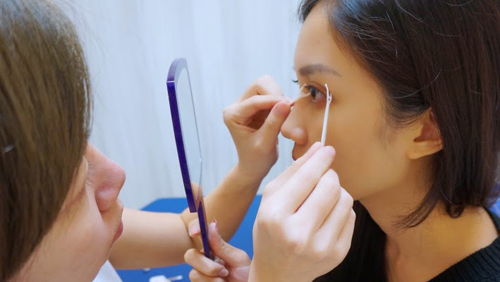 In most cases, women opt to have the Korean-style double eyelid surgery done with this procedure. Together, you and your doctor will discuss what you will, or indeed can, have done when you attend the consultation. The most important thing for you, as a patient, is to come away knowing that you have fulfilled your dreams and met your expectations. Can I have the medial epicanthoplasty as well as a double-eyelid crease? Can I have just medial epicanthoplasty, without double-eyelid surgery? How many stitches are there and when can they come out? Will you use absorbable sutures? It can all get a bit confusing sometimes. To simplify the procedures, here is a quick breakdown so that you can understand the common eye surgeries. Note that we have articles on each of these, so please take a look at our other pieces if you’re interested in the specifics of each one. If these are procedures that interest you, all that’s left is to make an appointment and explore all your options with a qualified surgeon at a reputable clinic.